Since I have some randomness to share this Tuesday, I thought I would link up with Alyssa today. 1 — Knowing that these are in the house makes it almost official that it's Fall. 2 — Since our weather has been up and down with the temps, it's doing a number on my sinuses. Can we just have weather in the 60s all day and the 50s at night year round? I think this would save my sinuses, and make me happier. Of course, I already know this will never happen. But, a girl can have wishful thinking, right? 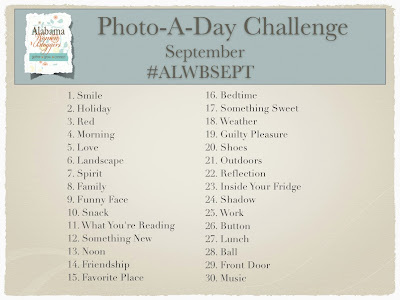 3 — I've never done a photo-a-day challenge on instagram, but the Alabama Women Bloggers will begin their first ever challenge in September, and I'm thinking about doing it. 4 — Big Brother... I know I talk about it a lot, but I've recently started watching After Dark, and let's just say that I'm so ready for Amanda to go home. I'm tired of her voice, and watching her tactics on the show. She's ruling the house, and she's got to go. Anyone else agree? 5 — FOOTBALL season is here. As you all know we are big MSU fans and we can't wait to cheer on our dawgs Saturday. We're hoping we can make it back to Starkville for at least one game this season since we didn't get a chance to go last year. And if you follow me on twitter, you'll be seeing a lot of #hailstate action going on! 6 — The Mr ran in CVS yesterday to pick up a few things after work and he came home with Reese's Peanut Butter Cups. Mind reader? Maybe... but it definitely made both of us smile while we enjoying eat a few. 7 — After watching the VMA's last Sunday... I've been on a JT kick, and had to go back and watch one of my favorite SNL musical acts. In March he guest hosted and performed Suit & Tie and Mirrors... if you haven't seen it — go watch it! 8 — Watching the Foot Network — some of these shows have some of the craziest challenges. Have you seen Sweet Genius? It's definitely an interesting show with all the weird ingredients he throws at them to incorporate in their dishes. 9 — I'm not much on leftovers, but there are a few things I will reheat and eat again: grilled chicken on salads, potato soup and beef stew. Seriously, I'm not a leftovers kinda girl. 10 — We've got a holiday weekend among us, and we have an idea of what we want to get accomplished. Seeing that we have three days... maybe one of those days we will actually use it as a work day in the house and get some things organized. What are your plans this holiday weekend? I am SO ready for football too! We are going down to Auburn to tailgate this weekend. I love Justin Timberlake on SNL - those are the only episodes worth watching! I am completely enthralled with The Sopranos right now. I am have a marathon - on season 4 now. It is totally consuming me! I'm ready to get some stuff done around the house this weekend. Boyfriend and I are addicted to food network!! Got to get me some candy corn! I wish I could stop sneezing. I love JT. And I have lots of fun little somethings planned for this weekend so I am ready for it to get here already! I am ready for football season. I love my Gators something fierce. So glad I found your blog on Ten on Tuesday. Your first picture prompted me to immediately grab a few of those delicious corns! BB - PLEASE Amanda needs to go. I have enjoyed watching her squirm a little this week. I also love that J-U- Double D is back! I felt he got the shaft in the game, so happy he gets a second chance! Leftovers - Did you eat them growing up? I did. I don't mind them. Hubs though - unless it's pizza, will not touch it! I think it has to do with growing up! My opinion! Joy, I was in Target the other day and they had Candy Corn M&Ms...I immediately thought of you and your love for Candy Corn! I am your weird friend that had potato soup for breakfast this last week! Hey, if it sounds good, go for it! I've been jamming to JT as well this week. In fact, I can't get enough! 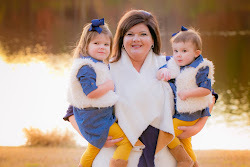 If you end up in Starkville, give me a call! I would love to see you friend! Reeses = perfection! And omg... Amanda is making me cringe! Can't stand her AT ALL!!!! What is up with crazy people being afraid of getting her out?? Get her out dang it!!!!!!!!!! I feel like a bunch of idiots are on the show because they aren't handling this! I'm definitely NOT a leftovers girl! I hate them! 3. Interesting. I'm going to have to check that out. 4. You know I've never watched an episode of that? 9. I used to not be either. After we bought our house I started though! 10. Yay for three day weekends. I plan to do as little as I can get away with. 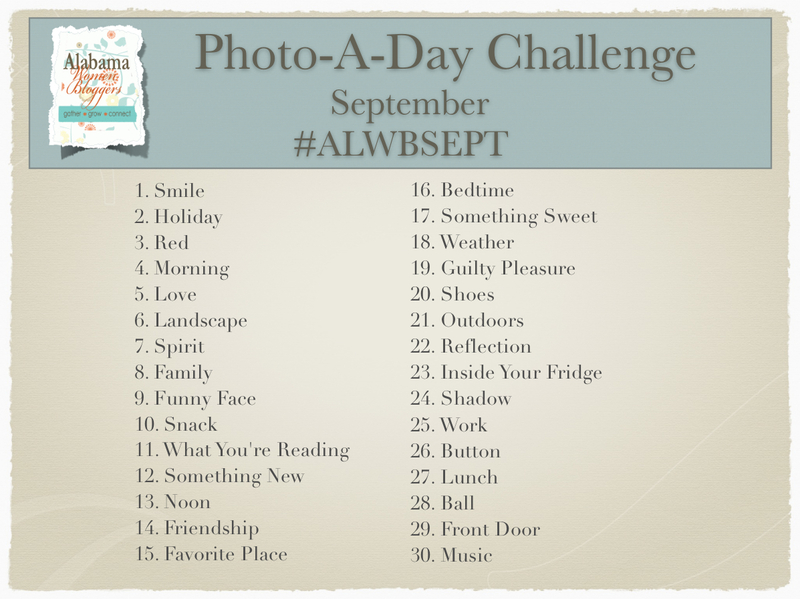 I've been wanting to do a photo challenge too! I'll have to see if Texas women bloggers have one again for September. Or maybe do the Alabama challenge from TX!